Round Hill Music is proud to enter into a worldwide co-publishing deal with the accomplished Danish songwriter, record producer, mixer, and instrumentalist, Rune Westberg. 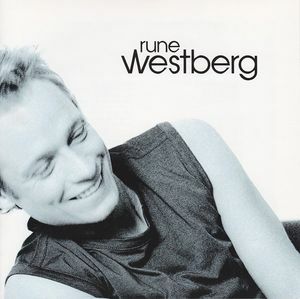 Based in Los Angeles, Rune has had recent cuts with Prince Royce (“Extraordinary”), Rachel Platten (“Beating Me Up” on her Fight Song EP), Jesse & Joy (current single “Ecos De Amor”), Colbie Caillat (“Floodgates” on “Gypsy Heart”) , Australian artist Bonnie Anderson (current single “Unbroken”), Sabrina Carpenter (“Stand Out” single) as well as upcoming projects with Rachel Taylor, Australian artist Dean Ray, Canadian artist Kate Morgan, Alvaro Soler, Katy Tiz, Sofia Reyes and many others. “Rune is a phenomenal talent and I’m thrilled to work with such a versatile songwriter and producer. We are dedicated to helping him take his music to an even wider audience and look forward to having many hits together,” says Patrick Conseil, A&R, Round Hill Music. Additionally, Rune has written and produced for Adam Lambert, Daughtry, Hedley, Reece Mastin, Nina Nesbitt, Haley Reinhart, Better Than Ezra, Casey Abrams, Kris Allen, Jessica Sanchez, The Saturdays, David Cook, MoZella, and Tyler Hilton, among many others. Along with Chad Kroeger, Eric Dill, and Chris Daughtry, Westberg co-wrote the hit song “No Surprise”, a single on Daughtry’s second album, Leave This Town. The song debuted on American Idol and subsequently won a BMI award. Rune is managed by David Sonenberg of New York-based DAS Communications.